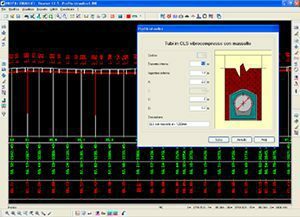 Strato® is the software with which you can draw and calculate volumes for profiles of aqueducts and sewers. You can enter data manually or automatically directly from plano-altimetric survey. Pipings are inserted interactively with jumps of heights and any curvatures at the vertical vertices. Are provided up to two pipes with diameters and variable thicknesses along the profile. Traps, complete with inspection barrel, can be positioned manually or automatically with a constant pitch. Areas and volumes calculation is distinct for the various layers of the excavation and backfill, traps, collectors and to any demolition of the pavements.